Pikes Peak National Cemetery is a new 374-acre Veterans national cemetery in the southeast portion of Colorado Springs. The cemetery will serve the burial needs of more than 95,000 Veterans and their spouses in the cemetery's service area for the next 100 years. Pikes Peak National Cemetery takes its name from the highest summit of the southern Front Range of the Rocky Mountains, located just 12 miles from downtown Colorado Springs. In January 2014, the Department of Veterans Affairs (VA) purchased the land, known as the Rolling Hills Ranch, located east of Marksheffel Road, between Bradley and Drennan Roads for $4.49 million. The property is in El Paso County. 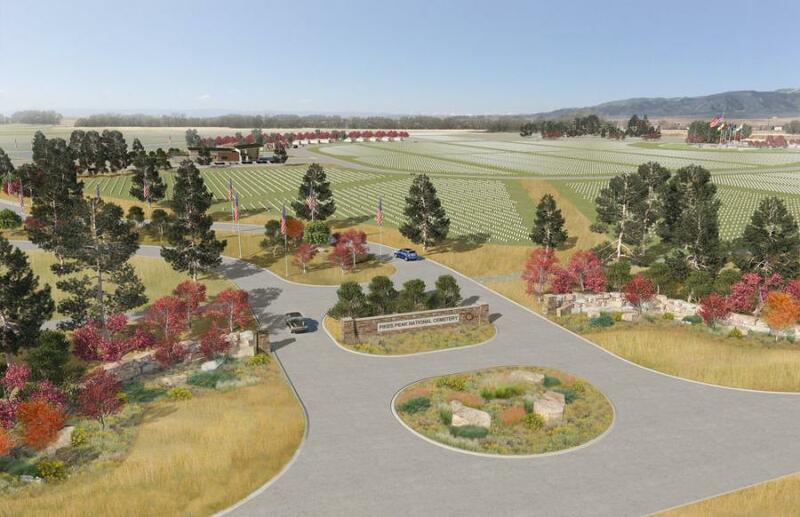 Southern Colorado qualified for a new national cemetery based on VA policy, which states that new national cemeteries may be established where at least 80,000 Veterans are not currently served with an open national, state or tribal Veterans cemetery within 75 mi. of their residence. This will be the third national cemetery in Colorado and the 136th cemetery that the National Cemetery Administration maintains. In addition to NCA's Fort Lyon in Denver and Fort Logan National Cemeteries Las Animas, there are two state Veterans Cemeteries: the Veterans Memorial Cemetery of Western Colorado in Grand Junction and Colorado State Veterans Center and Homelake in Monte Vista. 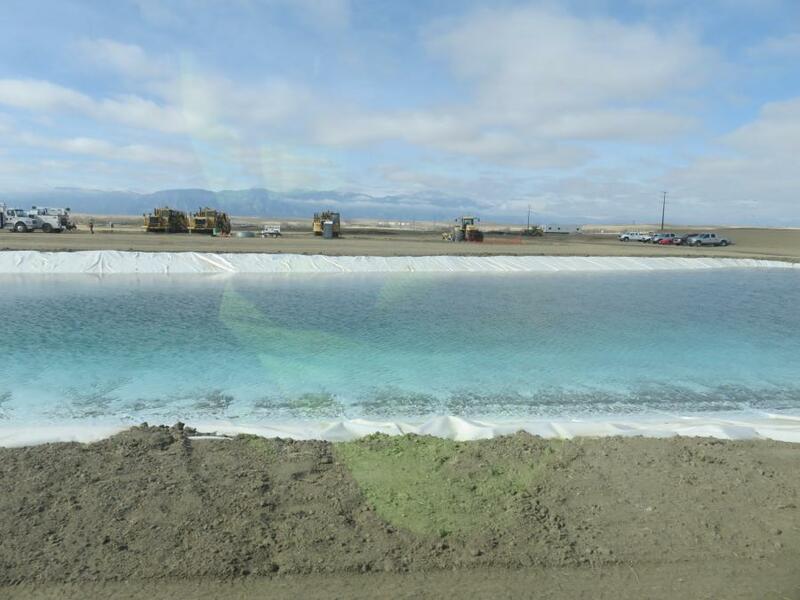 The $36 million initial phase of construction will develop approximately 65 acres and provide for around 13,300 gravesites, accommodating both casketed and cremated remains. In addition to gravesites, the cemetery will include other features such as a front entrance on Drennan Road, an administration building, a maintenance building, an honor guard building, a flag pole assembly area, a memorial walkway, committal shelters and a public information center with electronic gravesite locator and restrooms. Other cemetery infrastructure features will include roads, landscaping, utilities and irrigation. In the spring of 2015, the VA awarded AES Group, a service-disabled Veteran-owned small business architecture and engineering firm of Parker, Colo., a contract to design the cemetery. In the summer of 2017, the construction contract was awarded to G&C Fab-Con of Flemington, N.J. R.E. 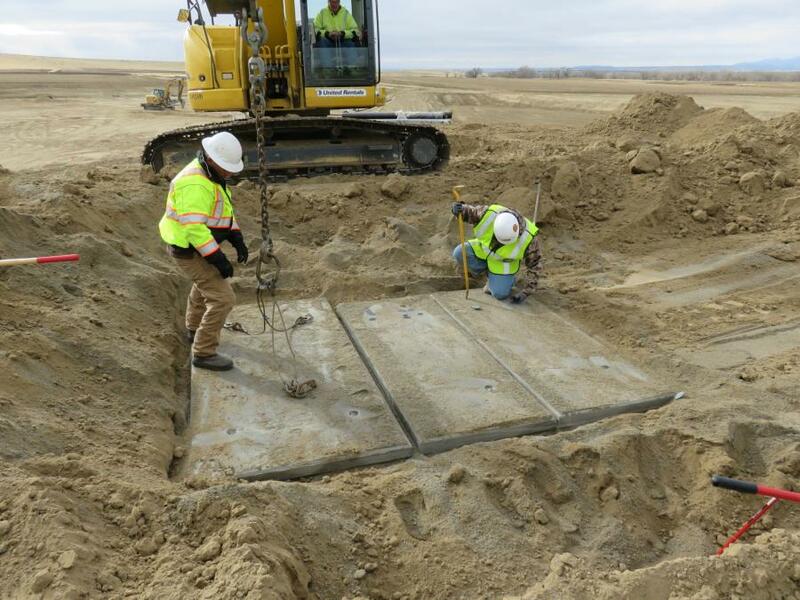 Monks Construction, based in Colorado Springs, Colo., is the heavy equipment subcontractor. 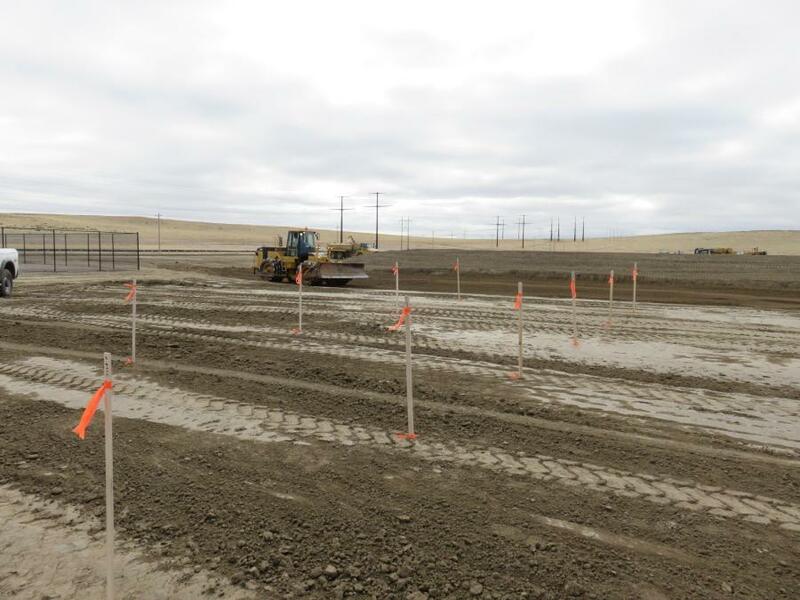 Landscaping and irrigation will be conducted by Landtech Contractors with headquarters in Aurora, Colo. Electric will be installed by RK Electrical of Denver, and Martin Marietta out of Lakewood, Colo., was contracted for asphalt paving. Phase 1 of the project is anticipated to take about three years to complete from the time of project letting. Site preparation has begun and a public dedication ceremony will be held by the VA this spring. Through the establishment of this new national cemetery, VA continues to expand access to VA benefits that Colorado Springs-area Veterans have earned for themselves and their spouses. By 2021, the National Cemetery Administration (NCA) projects that 95 percent of Veterans and their eligible family members will have reasonable access to a national, state or tribal Veterans cemetery within 75 mi. of their home. They plan to reach 92 percent of that goal by the end of FY18. Pending any unforeseen circumstances, NCA anticipates first burials at Pikes Peak to take place in 2018. For more information about Pikes Peak National Cemetery call the Continental District Office at 303/914-5700. For more information, visit www.cem.va.gov.